The Battle of Matson's Ford was a battle in the Philadelphia campaign of the American Revolutionary War fought on December 11, 1777 in the area surrounding Matson's Ford (present-day Conshohocken and West Conshohocken, Pennsylvania). In this series of minor skirmish actions, advance patrols of Pennsylvania militia encountered a British foraging expedition, and were overrun. 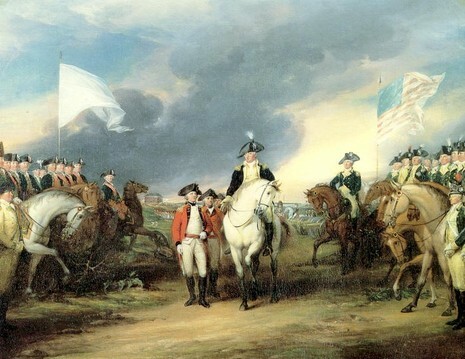 The British pushed ahead and engaged units of the Continental Army making their way across the Schuylkill River. The Americans retreated, destroying their temporary bridge across the Schuylkill behind them, and were forced to march north to Swede's Ford (present-day Norristown) to make the crossing to the west side of the Schyulkill. Early in the morning of December 11, the picket at Middle Ferry fired upon a British foraging expedition leaving Philadelphia. Soon after, the militia stationed at the Black Horse Inn fired on British troops. Reports were delivered to Potter, who was with the contingent located at Harriton House, indicating that the British were "advancing in force" up Gulph Road and towards his location. Potter stationed five regiments of militia between the British forces and Harriton House. However, the militia were quickly overrun and they hastily retreated back through Gulph Mills to Swede's Ford (present-day Norristown). The retreat was so chaotic that militiamen literally threw away their muskets and ammunition as they ran (an offense for which they would later be fined or publicly whipped). With the militia in retreat, the British discontinued pursuit and took position on the heights overlooking Matson's Ford. At the river, two Continental Army divisions under the command of General John Sullivan had almost completed crossing using a temporary bridge made from lashed together wagons. Sullivan, determining his position to be untenable, ordered a retreat back across the river, and destroyed the makeshift bridge behind him.